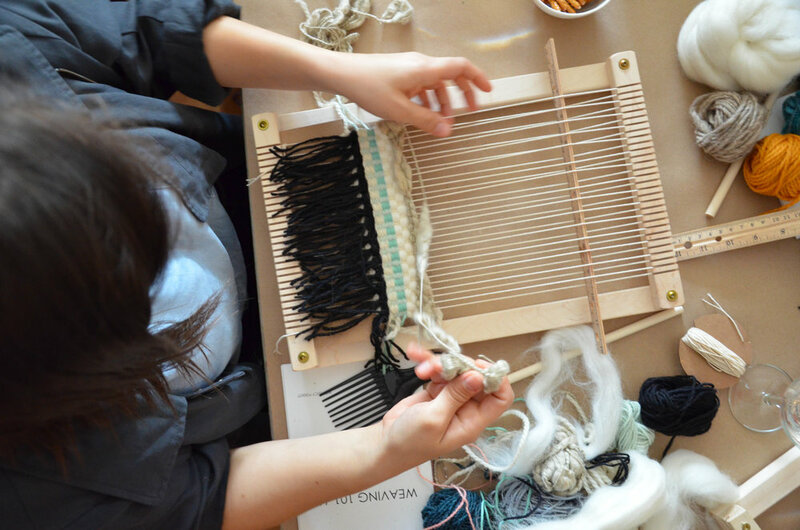 In this special 4-hour workshop you'll learn the essentials of traditional frame-loom weaving but also how to create intuitively through weaving with alternative materials and techniques. We'll start off with the fundamentals of tapestry weaving: how to set up your loom, the mechanics of weaving, different ways of creating texture and pattern and how to finish and remove your completed piece. These are the essentials of any weaving practice, and with these skills under your belt you can confidently create and explore your own personal style. We'll then move into Weaving with Alternative Materials - a mini-workshop I developed that helps us expand our creative boundaries. Working with alternative supplies, you'll learn to further your weaving or other artistic practice through the exploration, texture and significance of non-traditional materials. 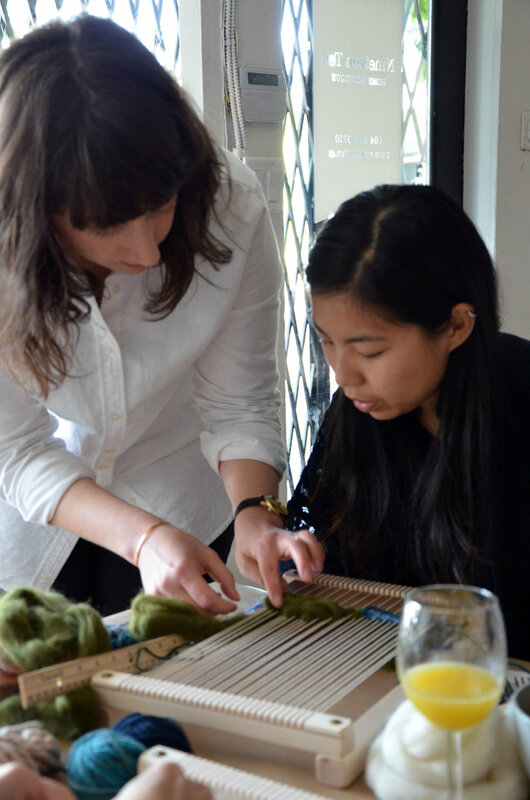 Your class fee includes everything you need to begin and continue weaving (and yes! all of this is yours to keep): a beautiful + locally made maple frame loom, essential tools, a selection of natural-fibre yarns and alternative weaving materials, an extensive booklet of step-by-step weaving techniques and resources, the Alternative Materials Guide... plus a re-usable silk-screened tote bag to help you carry all of this home! This class is now SOLD OUT. But lucky for you, there's another one the next day! If that one doesn't work, get in touch if you would like to waitlisted for a future class like this. This class is held at The Aviary - The Aviary is Vancouver's first coworking studio dedicated to supporting independent architects, designers, and creatives. Located in the heart of Vancouver's Fraserhood District, we are purposely at street level with large storefront windows in order to encourage connections between the design profession and those they serve. This is a place where a conversation might deepen one's understanding of the design process, make an unexpected personal connection and most importantly, inspire all of us to appreciate the value of excellent design. **Please note that all workshops are non-refundable, non-transferrable to another date.